So, the kidlitosphere is all abuzz with talk of the Youth Media Awards and I have to confess that I couldn't wait to get home from work tonight so I could buzz, too. So, The Graveyard Book won the Newbery. I'm not at all surprised (and after all, we did have this on our Mock Newbery list) and the more I think about it the more it seems like a great choice. It's got kid appeal. It's a "boy book". And Neil Gamian wrote an adorable post about getting the news. 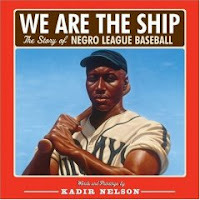 Okay, I admit it was far from my favorite book of 2008, but that's okay! I'm on board with this medal winner. I'm also on board with the honor books! Yay for The Underneath! And Savvy! I was very surprised and delighted to see Savvy on the list. Ingrid Law was surprised and delighted, too. I haven't read After Tupac & D Foster and I had never even heard of The Surrender Tree (but rest assured I have checked it out and will read it tonight). My coworker J said to me that it's a very crowd-pleasing list. It's got kid appeal. A first-author. "Ethnic" titles (for lack of a better term). Something that's not a novel (poetry). A little bit of something for everyone. I am astonished that Chains didn't get any recognition. But hey, it won the Scott O'Dell award and Laurie Halse Anderson got the Margaret Edwards Award, so that's pretty awesome . She also has an adorable post about winning. 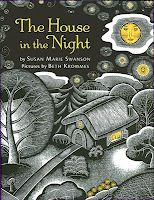 I'm not at all surprised that The House in the Night took the Caldecott medal. It's just gorgeous. I'm also not surprised that Jellicoe Road took the Printz. It's... well, let's just say that it's not my favorite book and leave it at that. I am very pleased about the Printz honor books, especially Frankie, which was a Cybils finalist. I'm so happy for Mo Willems, winner of the Geisel Award for Are You Ready to Play Outside? We love Elephant and Piggie! I'm also happy about Chicken Said, "Cluck!" and Wolfsnail, which were a couple of favorites for me, as well. What else? What else? I'm happy to see Waiting for Normal being recognized and Jerk, California is definitely on my TBR list. Both received Schneider Family Book Awards. Oh, and I was also excited to see Bodies From the Ice win a Sibert honor. And I'm happy to see A Curse Dark as Gold take home the first Morris Award (Elizabeth C. Bunce was happy about that, too!). I, too, was surprised about Chains... but I figured she got the Margaret Edwards award... I wonder if committees talk to each other?? I'm still waffling as to whether or not I'll read Jellicoe Road...I'm interested to see what you think of The Surrender Tree.